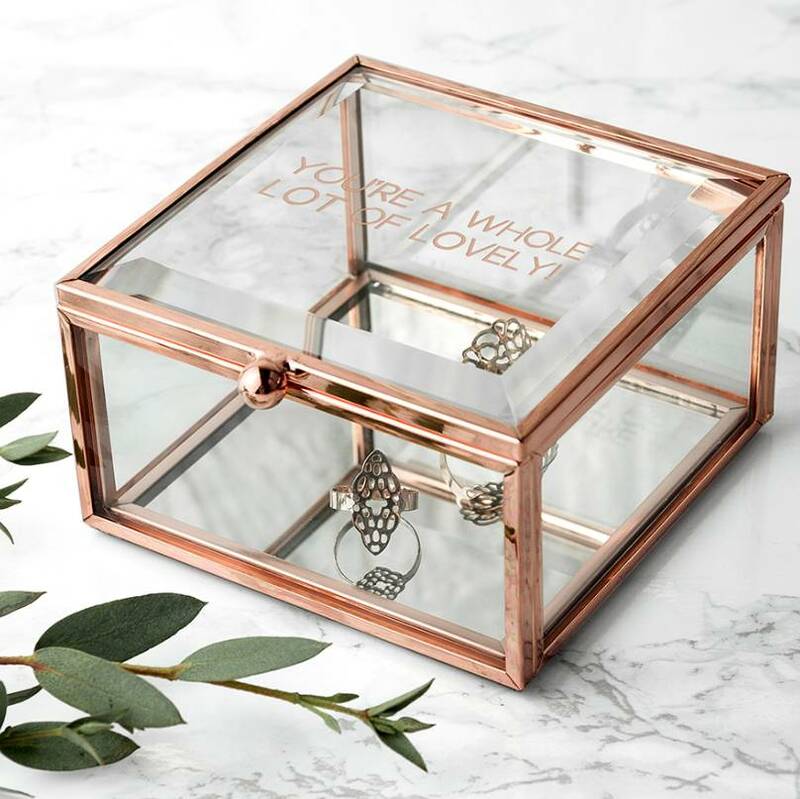 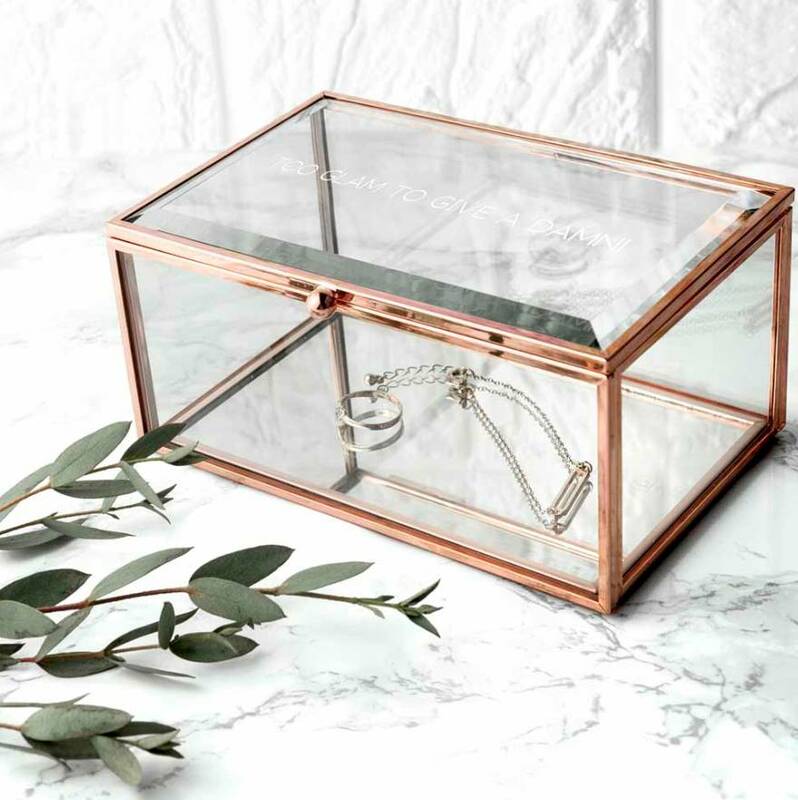 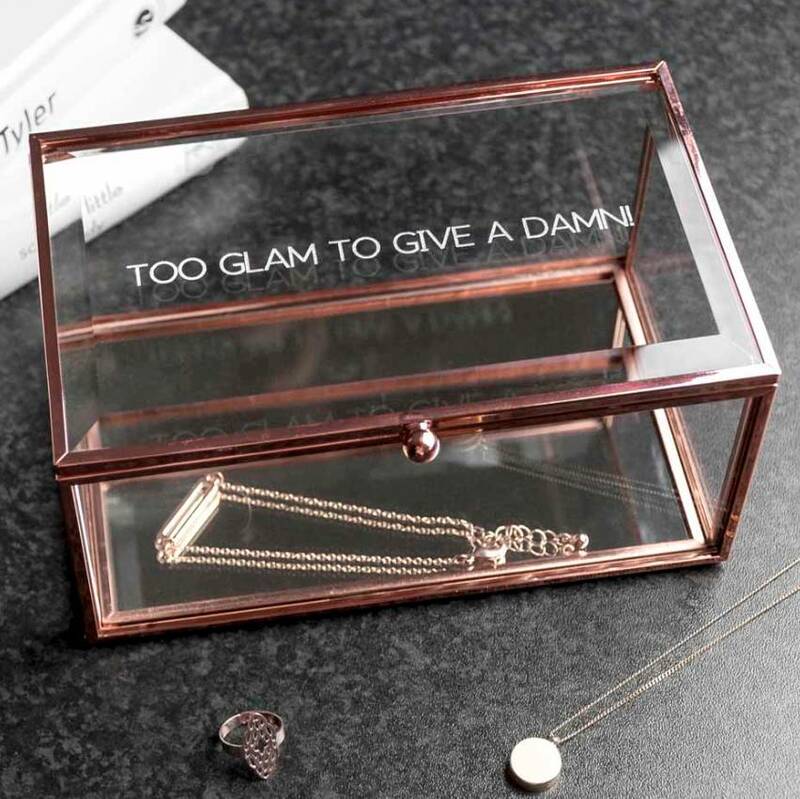 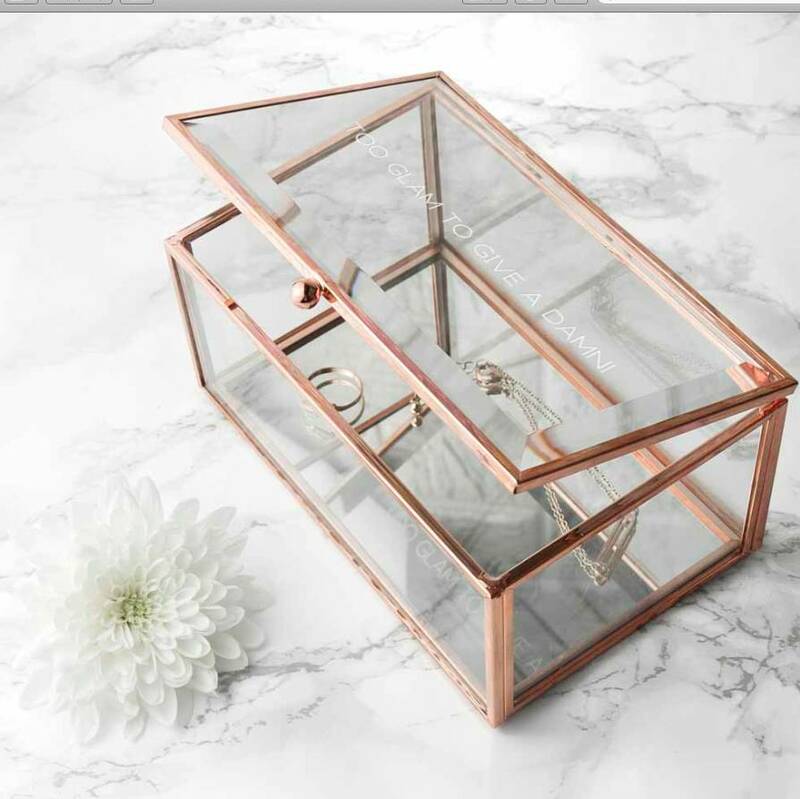 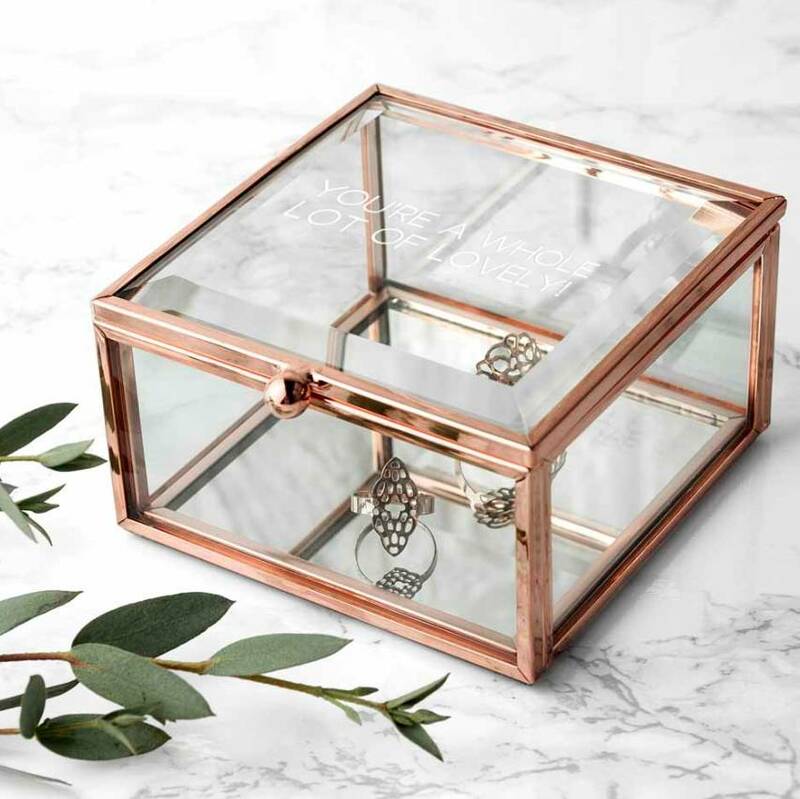 Showcase her jewellery in style with this rose gold edged & mirrored bottomed trinket box it will be a wonderful addition to any dressing table. We expertly personalise the glass lid with ANY message up to 30 characters, please note that all messages will be expertly engraved in uppercase. 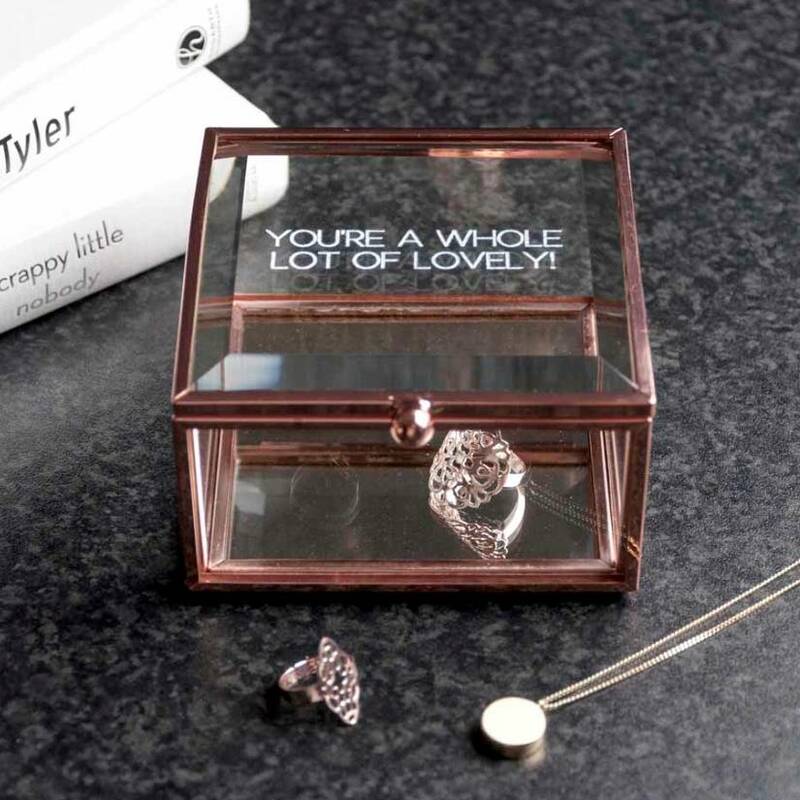 The bottom of the box is mirrored which gives any jewellery instant bling !